This is another photo where I am no longer certain of the date but I believe it is 1970. I know I was in Swindon that year. Swindon, of course, is a renowned railway centre. So what have I got? 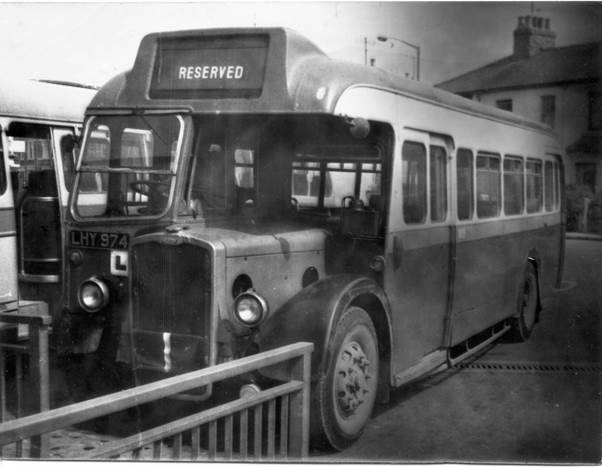 A photo of an old bus. I don’t have much knowledge about buses but somebody out there will tell me more, I daresay. The bus is clearly in use for driver training for it carries an L plate. This is what I think it is. I reckon it was built by Bristol Omnibus Company and has an Eastern Coachworks body. By the way, it always seemed daft to me to make the chassis in Bristol and then transport it to Lowestoft to be bodied. My guess is that this bus dates from around 1949. As is often the case, I would like somebody to tell me if I am right. We had lived in an utterly remote area near Wadhurst. Then, in 1949, the owner wanted his house empty and we had to move. The new home was in a village called Ifield. I suspect my dad hated it. The house at Ifield may not have been much above 40 years old when we moved there, but it was run down and inconvenient in most respects. Worse, it had but a limited garden and the views from the house were restricted. From this house, which was called Crosshill, we looked across the road to other similar houses. Out the back we looked down our garden and behind it there was a wooden factory building. However, the chances are my mum was happier. From Beals Oak to Wadhurst had been a three mile walk so shopping was a major expedition. Here, the local shop was just across the road and it was only two miles to the local small town of Crawley. Had we needed them we could have visited the local pub – less than 100 yards away – and the petrol station which was even closer. But our family were not pub users and the idea of ordinary people owning cars was something that was well into the future. The house had three bedrooms, inconveniently arranged with one room leading off another. There was no bathroom and the toilet was in an outhouse. I was but ten months old when we moved to this house which was to be my home for the rest of my childhood. Ifield had a community association and in January 1950 they held a children’s party in Saint Margaret’s Hall, a couple of hundred yards up the road. I was too young to go to this – barely more than a year old – but Paula and Robin went and are captured in a press photo. 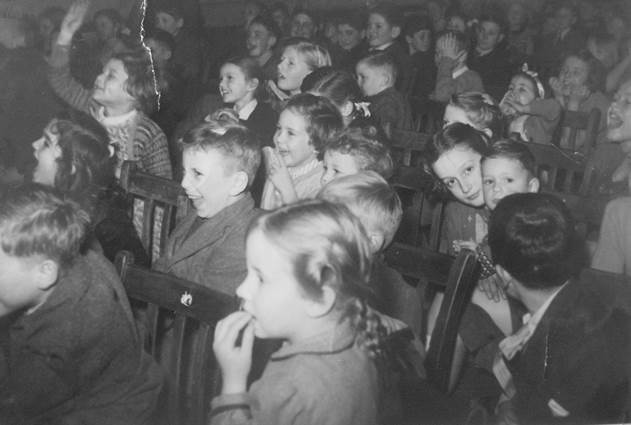 I love this photo for it shows that in the bleak and austere days – there was still rationing – children could enjoy fun. Sister, Paula is the girl in the centre of this photo. Robin, my brother is half hidden on this side of her. The birth of a grandchild gives an excuse for looking back as well as forward so today I’ll be unashamedly nostalgic and comment on changes. We’ll start with the youngest photo we have of me. 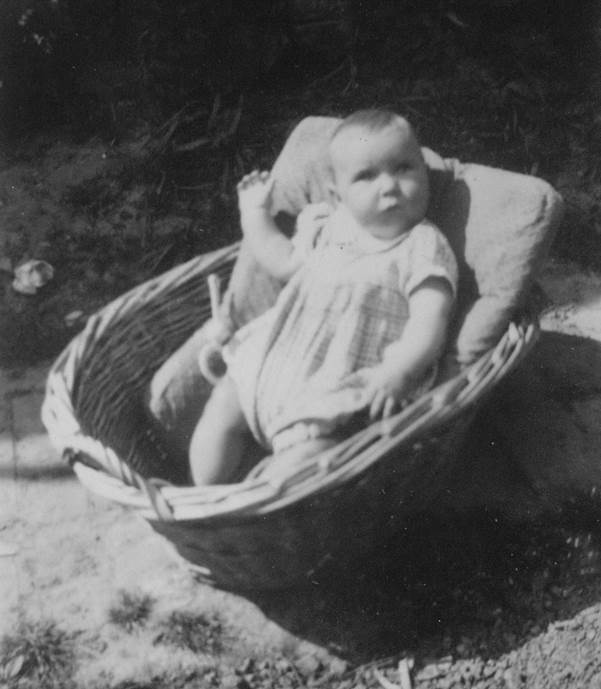 I’m already over four months old and was clearly practising my royal wave. New granddaughter is now just over a fortnight old and more photos of her have been taken than were probably taken of me throughout my childhood. This isn’t to be wondered at for changes in technology have meant it costs just about nil to take dozens of photos so you may as well take 100 in the hope of a good one. But of course, as compared with the late 1940s when I first saw the light of day, people (most of them) now have much more disposable income and there is much more to dispose of it on. New granddaughter has a self-rocking swing, a Moses basket on rockers, a pram/pushchair etc. etc. – and that’s the norm. My bed in that photo appears to be an old washing basket although this might have been a temporary affair for a photo session. New granddaughter is lucky enough to have a big brother. I had a big brother and sister and here we are on the same day. Garden furniture? No, of course not! That wonderful Lloyd Loom chair was one of our house chairs, carried out for the occasion. These days people have lavish garden furniture, purpose made. 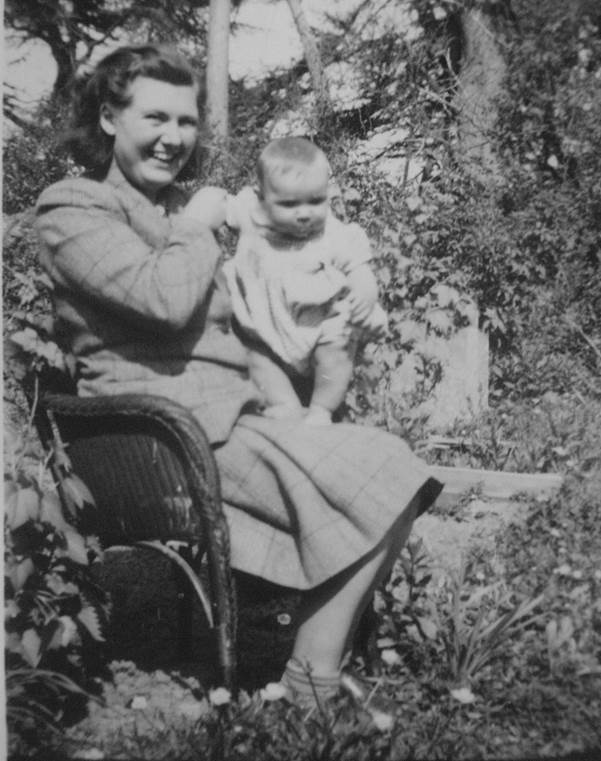 But despite a paucity of equipment and all things for babies, I had the most wonderful childhood. 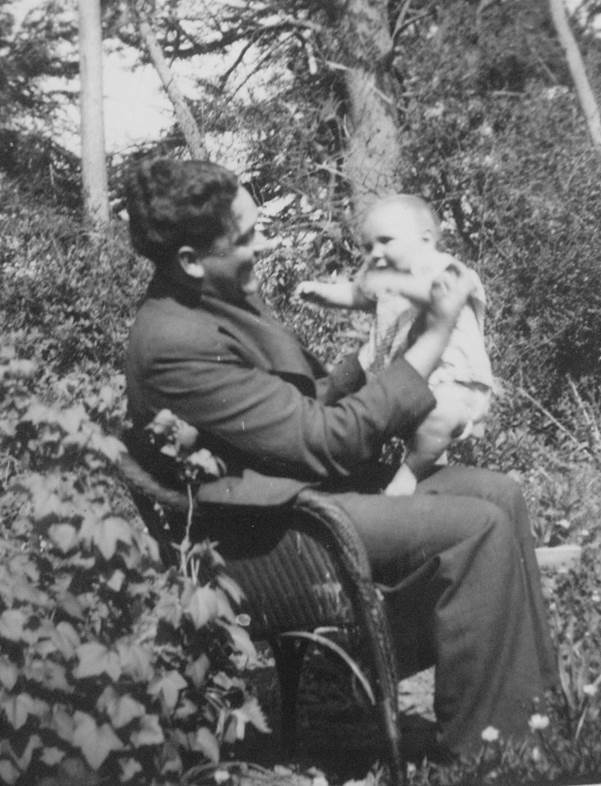 I had a dad who loved me. And a mum who doted on me. That remains the most important thing and I’m pleased to say new granddaughter certainly has doting and loving parents. 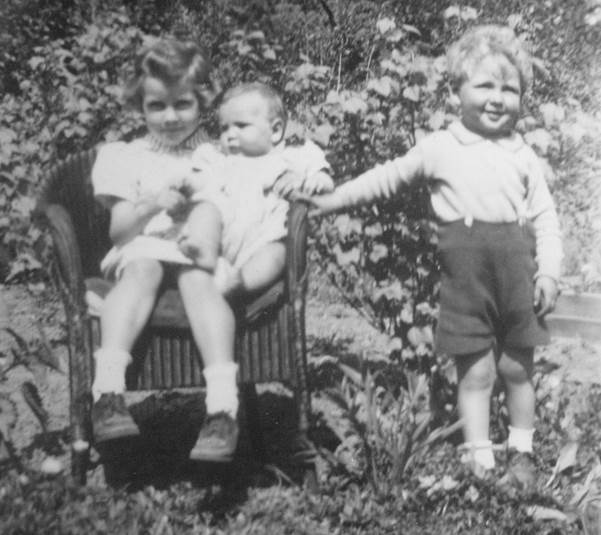 Back in the late 1940s my brother and I were born in a remote cottage near Wadhurst in Sussex. Just before the end of that decade we moved to a much less remote semi-detached in Ifield. I understand, for I have no memory of those far off days, that my big brother’s favourite toy never made the move. I don’t know why, but I suspect it never actually belonged to us. 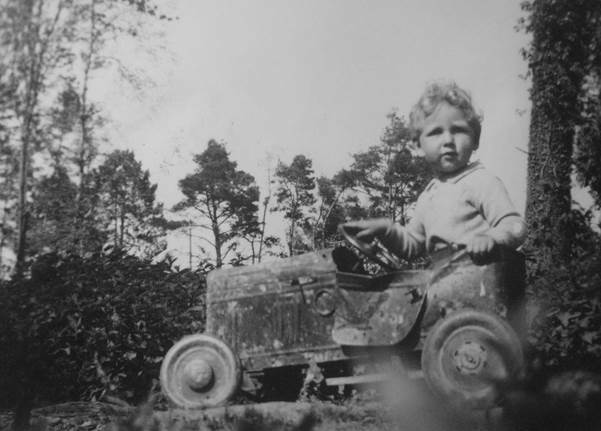 It was a pedal car and my dad photographed my brother in this – actually in 1949. I’m afraid I can’t tell you a thing about the car – I was less than a year old when it got left behind when we moved. I’m reduced to obvious things. It is battered. That side door, in particular seems to have had a bit of a collision. However, my brother, who’d have been aged about two and a half has a very proprietorial air. Brother, sadly, died very young in 1980. His grandchildren never knew him but they might well see a family resemblance here. And what a shame that old car didn’t stay with us. It might be that someone out there could identify maker and age.